Unit 0? If you're new to this world, it might seem odd, but you'll see why we start 0. If not, well you probably might skip this post for now. Programming is "the act of instructing computers to perform tasks". Computers don't get it when you tell them "write text". What they do understand however is a series of bits, which ultimately lead to the text being written. I'm not going into the great detail about the origins of programming, however the following is a very brief overview to put you in context. It is complicated, unless you're an engineer in the 50's (although it's fair to note that it is still used today for very specific reasons). The development of programming languages was just like this exact case. A language becomes too unwieldy (projects gets larger and reaches the practical limitations of the language), so a new higher level language is created to cater for new features. The next language then uses a single command to represent a group of lower level commands. As you might expect, it is vastly more complex than just wrapping the lower level, but you get the idea. A tool that converts the high level language to the lower level is called a compiler. Once computers became mainstream, more and more different kinds of architectures were created. An architecture is a CPU design which usually has its own machine language (the way 1's and 0's are organised for it to understand). As each CPU typically understood different instruction sets, different compilers were written to "wrap" architecture-dependent code. Now the next problem was that it's not as simple as writing the code once and compiling it for each architecture. The code usually had to be modified for each system it was intended to run on, so portability was lost. Having a large project would render this process impractical so a new language came along that tried to solve this problem once and for all. 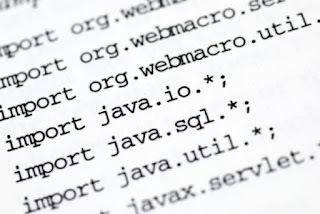 Java was a language developed in 1995 by what was once Sun Microsystems (now Oracle). What's interesting about Java is that it is much more than just a language. Java is a whole ecosystem, having the language syntax, compilers, environments, SDK and community. But how did it solve the portability issue? As I mentioned, it is a whole ecosystem so there is a more elaborate system at play. What Sun did was create a language that is then compiled to a byte code rather than machine code. This byte code is then executed by the Java Virtual Machine (so, yes, it's still machine code, but a different kind of machine). This JVM is the only part which is differently coded and compiled depending on the architecture. So we now have a language which can be written and compiled just once and being confident that it will run on any kind of CPU as long as the JVM exists for that CPU. This VM is also known collectively as the Java Runtime Environment (JRE), of which the byte code interpreter plays a major role. 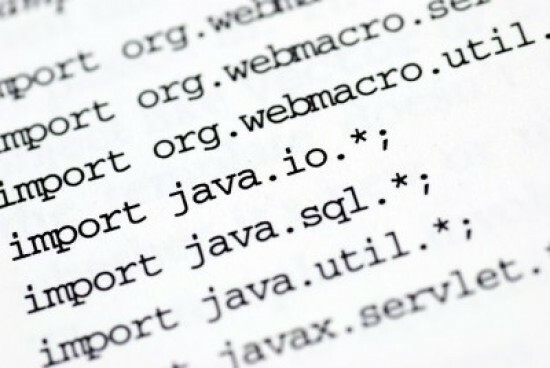 Java has a very strong community and many standards go through what are known Java Specification Requests (JSRs ), much like Request For Comments (RFCs) if you're familiar with network protocols. Basically this is a process for definitions of ideas, standards, protocols, etc. Through this process, Java has become arguably one of the top languages for high end websites (technically known as web apps). Twitter for example, runs on Java, so you get the idea of the strength of Java. Throughout this series we shall cover, quite in depth, how to write enterprise web applications in Java. Java used to, and still does in a revived way, dominate the mobile aspect to. This sheer adaptability, from top range servers to mobile phones, without doubt, makes Java the most versatile language ever. In the early days of smartphones, Symbian was the king of mobile operating systems. It used to run a version of Java known as J2ME (Mobile Edition). Today the Operating System with the largest active user base is Android. Surprise surprise, apps written for this OS are also in Java and use almost the exact same tools - it's a bit more complex - but we'll see as we go along how seamless it is to adapt your Java code to it. So now you have a very basic idea of what programming is and how Java relates to it. Of course, a lot more resources can be found elsewhere if you're interested in more history and details. Wikipedia is one of those sites so you can head over there to further whet your appetite. Following this post we shall start off with a basic Java environment set up; from the quick installation to your first Hello World!